You can use this arrow as a bookmark. Drag it where ever you want to..
Don't forget to re-start your PSP program after you add a new filter. This tutorial has 2 parts. In the second part we learn how to use it. Open a new image 300x300 pixels, transparent. Start in the middle of your image. With your right mouse button you can move it. Make 2 curved lines , 1 above and 1 under. Now you don't have superfluous space around the globe. You may close the old one. Save your globe as PSP image, so you can use it again some other time. Now we have used a circle, but you can also make this in an other shape. For this tutorial we will use this one. 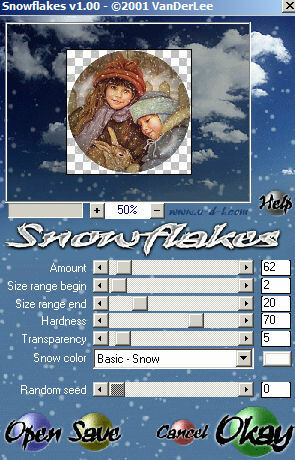 Click with right in the layer palette and choose Promote background layer. Copy your globe and paste it as new layer in the picture. Drag it over the part of the picture that you want in your globe. Select the lowest layer (raster 1) in your layer palette. Go to the selection tool and select the circle again. Draw a selection from the middle of your globe and make it the same size as the globe. You can move it a little bit with the right mouse button if needed. Now hit the delete button on your keyboard. There will just be a circle left of your picture. 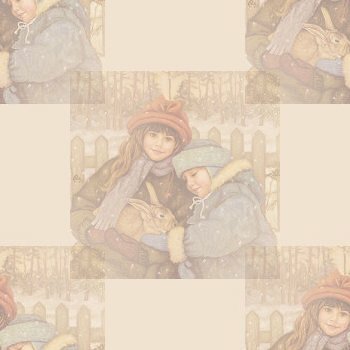 Make the opacity of raster 1: 90% in your layerpalette. Copy and paste as new layer in the image with the globe. You can drag the globe a little bit higher, so the base fits under the globe. With the Raster Deform Tool you can deform the base. If you hold the CTRL button, you can deform each corner separately. Maybe you even must erase a little bit of the base. I don't know the exact size of your globe. Select the lowest layer, the other one is locked. It doesn't matter when it's a little bit smaller, but it may not be bigger then the globe! Don't move the globe anymore now!!!! Select the lowest layer, just by clicking on it in the raster palette. The selection will be around the globe again. Rename this layer in the layer palette and name it Layer A. Select the copy of the merged layer. Rename this layer in the layer palette and name it Layer B. Everything the same as above, only change the random seed to 4000. Rename this layer in the layer palette and name it Layer C.
Unlock all 3 layers now and select A. File - Jasc sofware products - Launch Animation Shop. File type is Paint Shop Pro image!! File - save as- choose a name and select a folder. Will you tell me in my guestbook what you think of the tutorial?